Nov. 19, 2018. For over 20 years we, sovereign onkwehonweh, exhausted the court system all the way through to the Supreme Court of the United States. [Jones v. Parmley 17-928]. 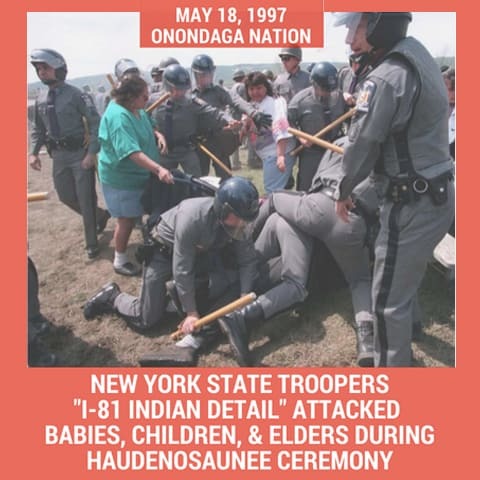 Over 100 of us were viciously attacked on May 18, 1997, by the New York State “Indian Detail” on Onondaga land. Our human rights were violated at all levels of the court system [Federal Trial Court, Federal Appeals Court and Supreme Court]. The only corporate court left is the World Court, The International Court of Justice, at The Hague. According to the UN Charter and the UN Declaration on the Rights of Indigenous Peoples, we original peoples of the world have special standing in the International Court of Justice at The Hague. 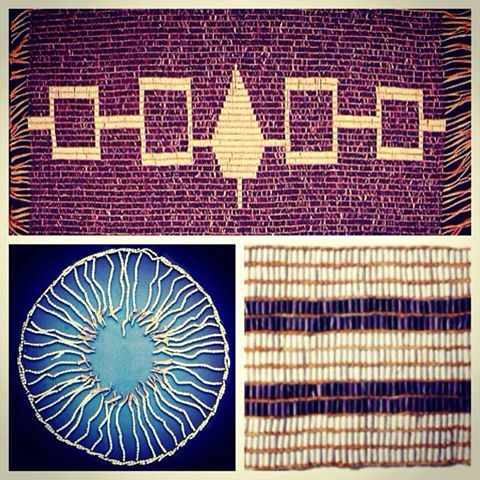 This Declaration is designed for us to tell the world about the history of continued genocide of indigenous peoples. We found that instead the UN and World Court gives no rights to the indigenous peoples, as though we do not exist. When we tried to file our case, the door closed, contrary to their Charter and Declaration which provides us with sovereign self-determination. The World Court and the UN have built an impenetrable wall that prevents us from filing our Application. We do not exist as a natural peoples, only as meaningless words on a piece of paper. This means that the corporate states, the UN, and the World Court are refusing to enforce our right to seek a remedy for human rights violations. They set a limit for how far we can take our grievances, thereby protecting corporate states from being charged and found guilty of human rights abuses. SEE BELOW “LETTER TO INSTITUTE PROCEEDINGS” AND “WORLD COURT RESPONSE TO LETTER TO INSTITUTE PROCEEDINGS”. Our birth makes us a free peoples with natural human rights provided by creation. We have a right to speak for ourselves according to the UN Charter and Declaration of the Rights of Indigenous Peoples. The entire application is posted for the people of the World to review and help us file this case at the World Court in The Hague. We seek a hearing before the World Court, we anticipate a directed verdict in our favor, and for the UN’s own Declaration to be enforced. If they refuse to give the indigenous peoples of the world relief from human rights abuses, then the World Court and the UN are frauds. We will rely on our own natural rights as provided by creation. From: kahntineta Bear [kahentinetha2@yahoo. com]. Sent: 23 October 2018 19:24. To: FORUM Indigenous Permanent; Information Department. Subject: Application to institute proceedings. Mr. Philippe Couvreur, Registrar, International Court of Justice, Peace Palace, Carnegieplein 2, 2517 KJ The Hague, The Netherlands. Secretariat of the Permanent Forum on Indigenous Issues (SPFII), Division for Inclusive Social Development (DISD), Department of Economic and Social Affairs (DESA), United Nations Secretariat (29th Floor), 405 E 42nd Street, New York, NY 10017. October 23, 2018. To: ‘kahntineta Bear’ kahentinetha2@yahoo.com>. Sent: Wednesday, October 24, 2018, 5:04:20 a.m. GMT-4. Subject: RE: Application to institute proceedings. Dear Sir, Madam, In reply to your e-mail, I have to inform you that the International Court of Justice is not authorized, in view of its functions strictly defined by its Statute (Article 34) and Rules, to give advice or make observations on questions such as those raised in your communication. The Court’s activities are limited to rendering judgments in legal disputes between States submitted to it by the States themselves and giving advisory opinions when it is so requested by UN organs or specialized agencies of the UN system. It follows that neither the Court nor its Members can consider applications from private individuals or groups, provide them with legal advice or assist them in their relations with the authorities of any country. That being so, you will, I am sure, understand that, to my regret, no action can be taken on your communication. Yours faithfully, Département de l’information | Information Department, Cour internationale de Justice | International Court of Justice. www.mohawknationnews.com mail to: kahentinetha2@yahoo.com Box 991, Kahnawake [Quebec,Canada] J0L 1B0. Nia:wen. See MNN Home Page. 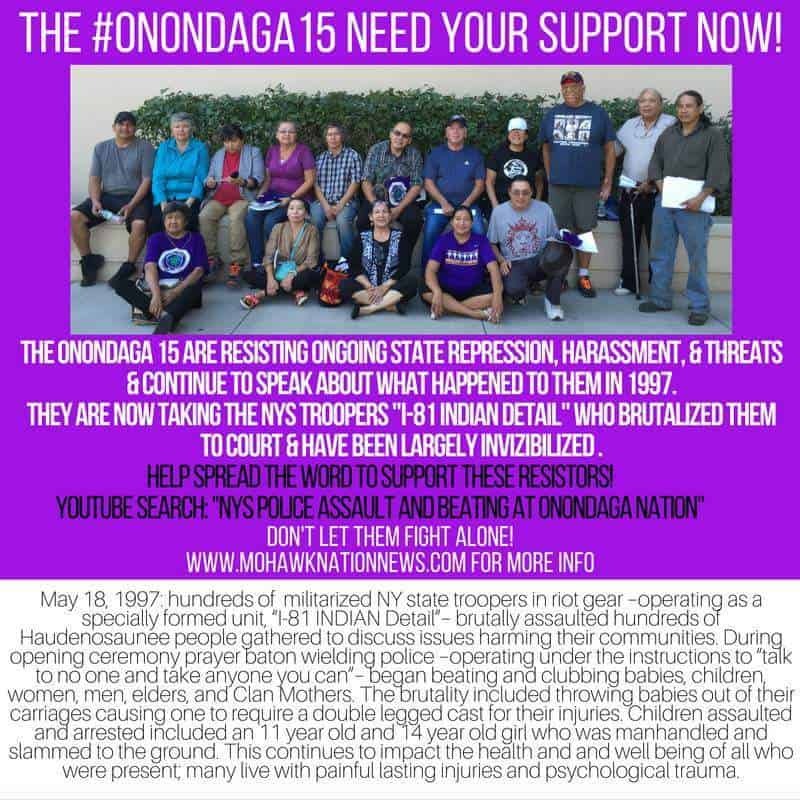 Request for Justice and Truth in the Case by 15 sovereign onkwehonweh, indigenous peoples [the original native peoples of turtle island (North America)] of the rotinoshonni, Iroquois Confederacy, concerning Injustice and Untruth in the United States through No Equal Justice Under Law in the United States, No Due Process in the United States, and No Fair Hearing / No Fair Trial in the United States. Andrew Jones (sovereign), Robert E. Bucktooth, Jr. (sovereign), Cheryl Bucktooth (sovereign), Robert Bucktooth III (sovereign), Debby Jones (sovereign), Karen Jones (sovereign), Nikki Jones (sovereign), karoniakata Jones (sovereign), Shawn Jones (sovereign), kahentinetha (sovereign), dyhyneyyks, aka Alfred Logan, Jr. (sovereign), tekarontake, aka Paul Delaronde (sovereign), Ross John (sovereign), Ronald Jones, Jr. (sovereign), Nadine O’Field/Ganonhweih, fka Nadine Bucktooth (sovereign), aka Onondaga 15, Applicants, v. United States, Respondent. The following links are documents included in the Annexes to our Application set forth above. The links are included here for easy access to review these documents separately from the Application. Copyright © 2018 Two-Row Justice v. United States/World Court, All Rights Reserved.